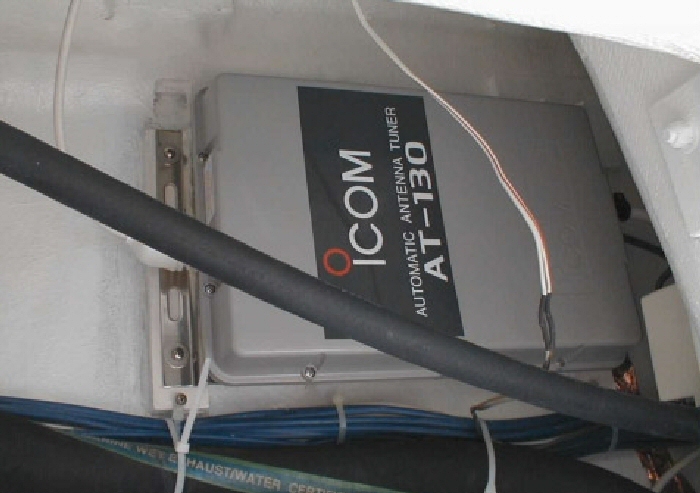 I installed an ICOM M-710 RT radio, ICOM AT-130 Wire Tuner, and PTC Pactor modem for long distance voice and data communications. 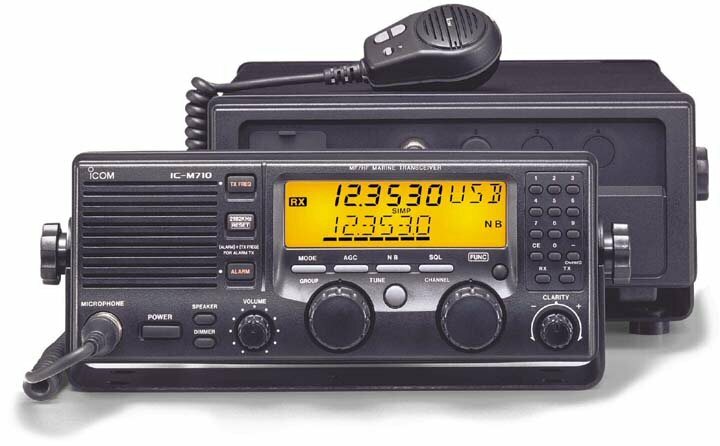 Since I have my Ham Radio Operators License, I had the radio modified so that it would operate on any frequency between 2 and 30 MHz. The M710 can be installed so that the main unit is remote from the control head. I used the unbonded backstay (stbd on the 350) for the antenna and also installed several additional items to reduce electromagnetic interference. I am using the boat bonding system for an RF ground and it has worked out great.